Running time 2 m. 22 s.
"The Little Darling" is a very short comedy directed by D.W. Griffith. The film is included in our program to illustrate the work of two of our stars: actor Arthur Johnson and cinematographer Billy Bitzer. 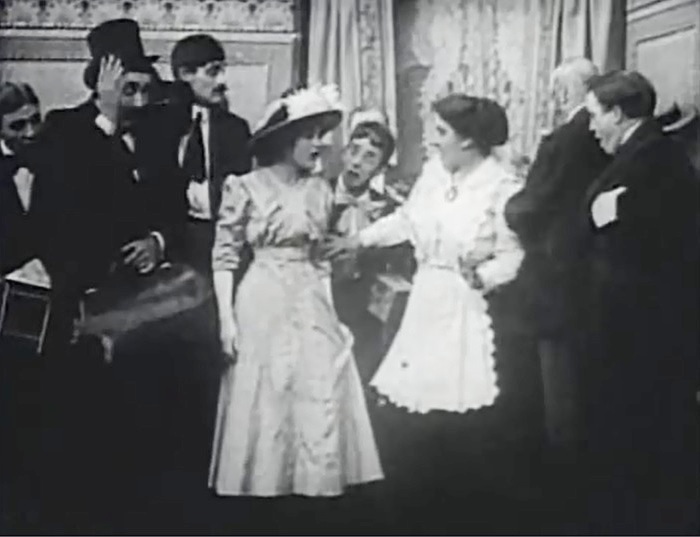 Arthur V. Johnson and Mack Sennett meet Mary Pickford at the station in "The Little Darling" (1909), directed by D. W. Griffith, cinematographer Billy Bitzer. 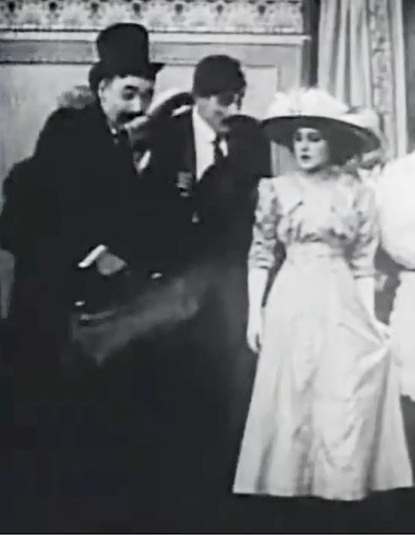 Mack Sennett and Arthur V. Johnson introduce Mary Pickford to the rest in "The Little Darling" (1909), directed by D. W. Griffith, cinematographer Billy Bitzer. Mary Pickford is met with surprise in "The Little Darling" (1909), directed by D. W. Griffith, cinematographer Billy Bitzer. 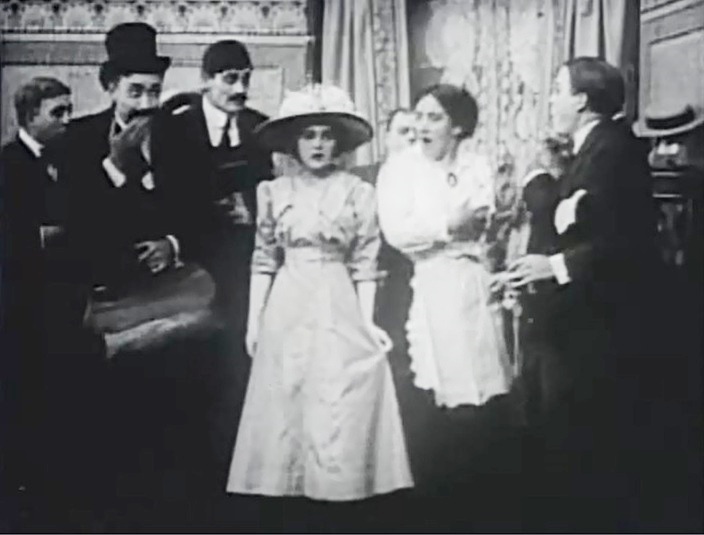 Mary Pickford tries to figure out everybody's surprise in "The Little Darling" (1909), directed by D. W. Griffith, cinematographer Billy Bitzer.